STACY IGEL: Meet our June 2015 Muse of the Month! 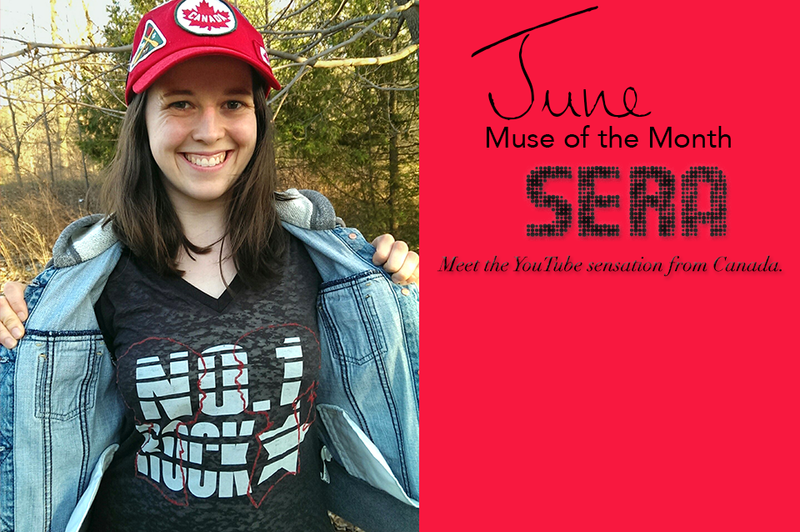 Meet our June 2015 Muse of the Month! Introducing our June ‘15 Muse of the Month and birthday girl, Sera! Welcome to our June Muse of the Month feature. Learn more about Sera below and why she is our Muse this month. Sera's Birthday was June 4th. Wishing Sera a Happy Birthday Month. One of my favorite charities that my family and I support is Compassion Canada. They help to release children from poverty through child sponsorship by partnering with local churches in 26 countries. We've been sponsoring a girl from Ethiopia for about 7 years now, and she will be turning 15 this year! It's exciting to see how she's growing up from photos we receive and letters she writes us. Kids should have the chance to be kids. My favorite Boy Meets Girl item is the Alice Logo Tee, hands down! The Boy Meets Girl logo is what made me fall in love with the brand. I think that the two silhouettes create such a cute and simple look. I especially like the fun takes on it every season.